Bisexuals are everywhere–by some counts, we make up the largest group in the QUILTBAG. But here are some stats you may not know. You might be wondering what good knowing will do–the answer, as far as i see it, is a whole hell of a lot! When we (and i mean the global “we” here) get rid of biphobia, more bisexuals will have better lives. 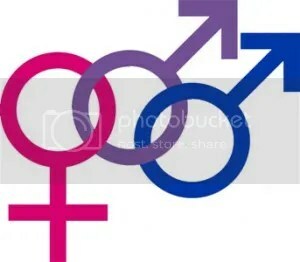 When we eradicate monosexism–when monosexual normativity starts going the way of heteronormativity–more bisexuals will enjoy better and happier lives. Thanks for visiting me during Bi Pride Week!